Chip applies his more than three decades of civil trial litigation experience to the most complex and difficult cases of medical malpractice and products liability nowadays. 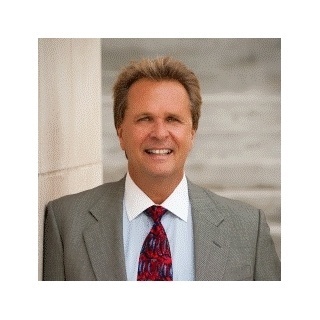 Based in the metro New Orleans area, Chip is licensed in Louisiana and Texas, he has a multi-state practice and has been admitted pro hac vice in many other states including Massachusetts, Pennsylvania, Georgia, South Carolina, Alabama, Arkansas, and Mississippi. Chip brings together meticulous preparation with passionate courtroom advocacy on behalf of both his individual and corporate clients. Chip’s preeminent professional achievements have been recognized by his peers and various legal and professional organizations including Super Lawyers, the American Board of Trial Advocates, and the International Association of Defense Counsel. He is a Life Member of the Million Dollar Advocates Forum and has received Martindale’s highest (AV) rating for lawyers for more than 30 years. In January 2015, he was lead counsel in a medical malpractice wrongful death case in New Orleans that resulted in a multi-million dollar jury award; the highest damage award to a single medical malpractice victim in Louisiana history. Chip handles medical malpractice cases all over Louisiana, southern Mississippi and the panhandle of Florida. Chip has taught trial advocacy to hundreds of lawyers over the years with the National Institute of Trial Advocacy and to law students at Tulane and LSU law schools in Louisiana. He is presently an Adjunct Professor at Loyola University’s College of Law where he teaches Medical Malpractice law. He is also an award-winning writer of historical fiction, having two published novels, An American in Vienna and The Carpathian Assignment, a newly-released non-fiction work, Double Emperor, The Life and Times of Francis of Austria. Chip Wagar and his wife Cheryl live in Mandeville, Louisiana on the north shore of Lake Pontchartrain just outside New Orleans, Louisiana. Only 5% of lawyers are Superlawyers. The American Board of Trial Advocates (ABOTA) is an invitation only organization of trial attorneys of the highest ethical and professional accomplishment. Established in 1993, the Million Dollar Advocates Forum (which includes the Multi-Million Dollar Advocates Forum) is one of the most prestigious groups of trial lawyers in the United States. Membership is limited to attorneys who have won million and multi-million dollar verdicts and settlements. There are over 5000 members throughout the country. Fewer than 1% of U.S. lawyers are members. Initial consultation and evaluation of Medical Malpractice claims is extensive and free of cost to you until and unless the case is accepted and a contingency fee contract is signed. This is a substantial benefit in these complex and difficult cases. You are never charged any fee or responsible for any expenses until and unless there is a settlement or judgment in your favor. For medical malpractice cases, we charge a 40% contingency fee plus expenses advanced on your behalf during the case. For other kinds of accidents, our contingency fee varies depending on when the case is settled or if it requires a trial and/or appeal. These fees can vary between 25-40% plus expenses.